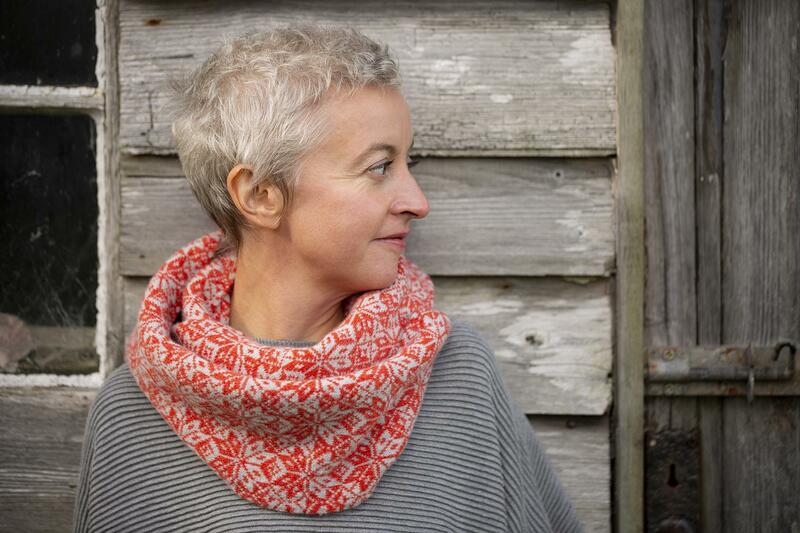 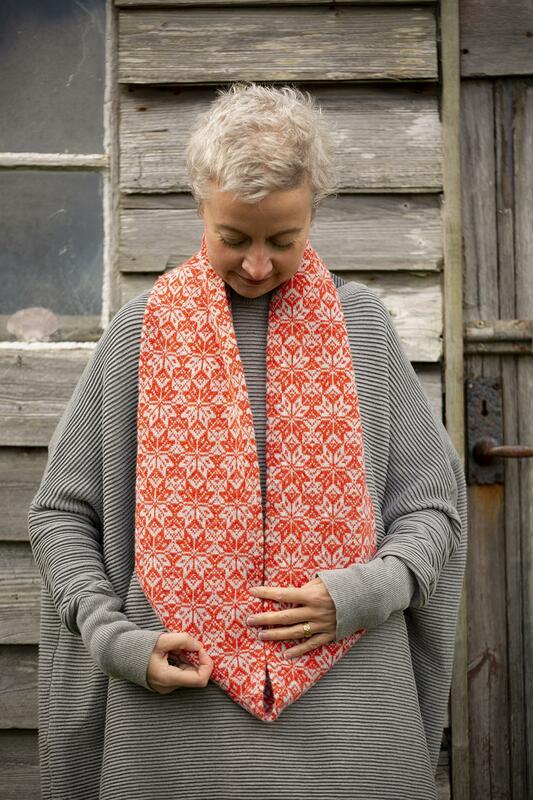 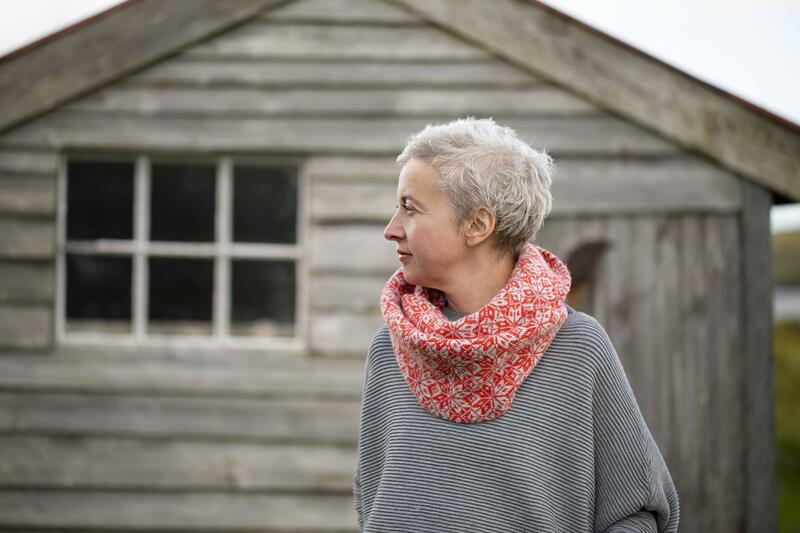 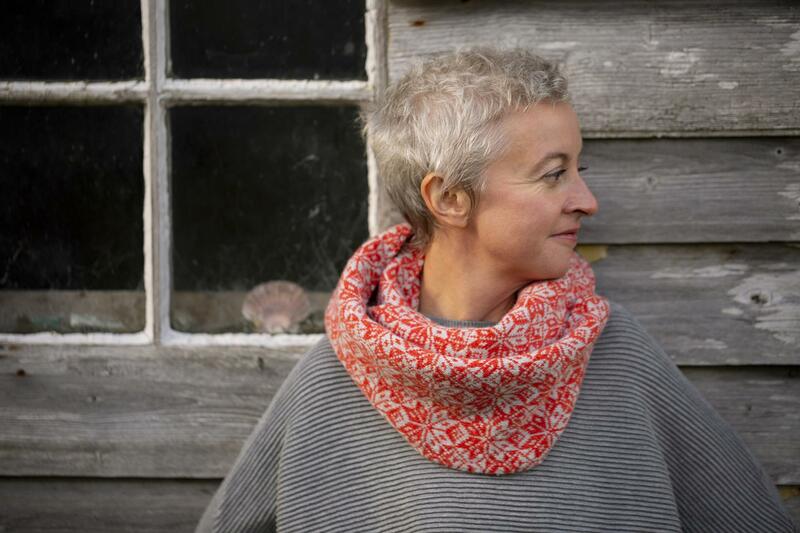 The North Star Snood has been designed by Kate, and expertly knitted by William Lockie (in Hawick, in the Scottish Borders), using soft, top-quality Yorkshire-spun lambswool. 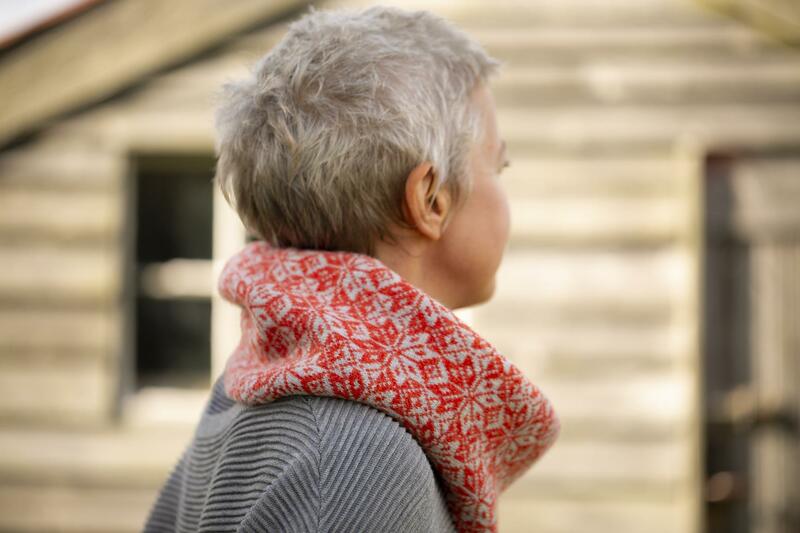 Lightweight, warm, and generously proportioned, our snoods are created on machines using an innovative tubular knitting method (which has no "wrong" side), and are carefully finished by hand. 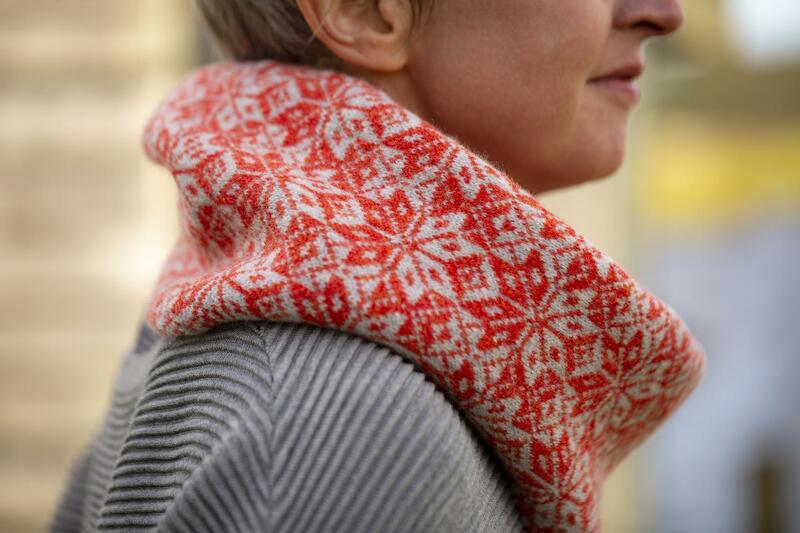 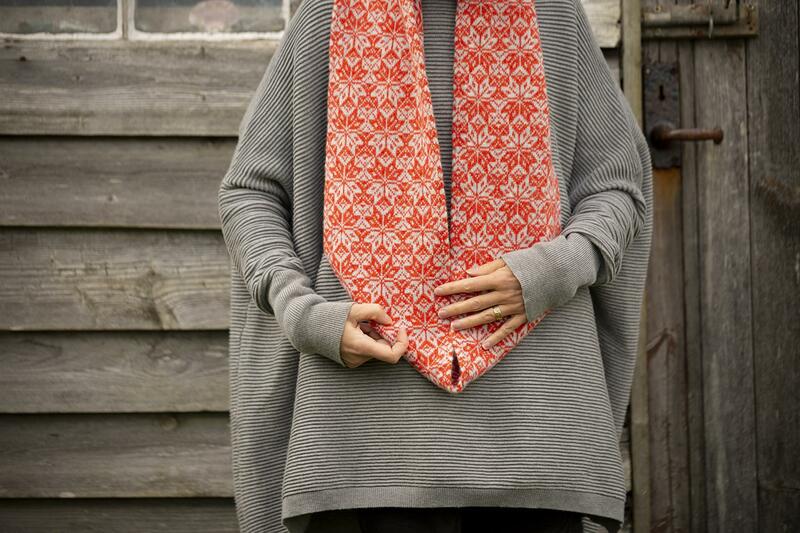 The snood is shown here wrapped twice around the neck. 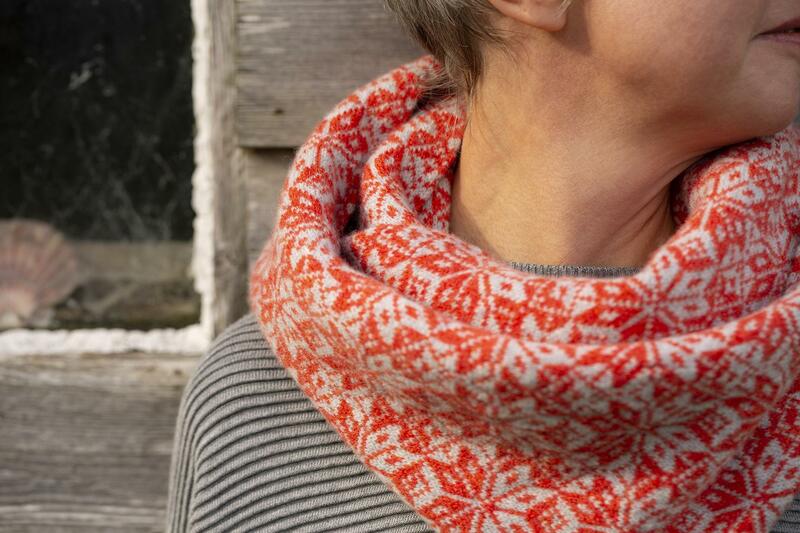 Each snood is sent carefully packaged in a KDD originals drawstring bag, which can be reused for all your knitting projects.